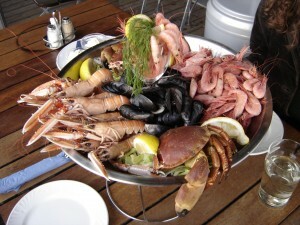 A Logistics Summer Post: Seafood, Coconuts, and Cashews | Morai Logistics Inc.
We hope you have been enjoying this summer so far! As we are now in the latter half of the warmest and sunniest of seasons, we would like to take the time to focus on some summer-themed logistics and supply chain related news. Daily Business Buzz recently released an article on how Ocean Executive, a Bridgewater, Nova Scotia based company, is developing an online platform aimed at improving supply chain efficiency for the seafood industry. Ocean Executive has received a $100k seed investment from Innovacorp, a Nova Scotia based venture capital organization to fuel the idea and help it come to fruition. All players in the supply chain stand to benefit from true and fair market pricing, whether it’s fishermen, processors, wholesalers, distributors, traders, brokers, retailers or large restaurant chains. Greg Phipps of Innovacorp notes that the seafood industry is still using outdated an inefficient processes to buy and sell products and that this technology being developed by Ocean Executive has the potential to modernize this dated trading system. This is indeed a trend that is happening with regards to the logistics and supply chain industry as a whole; combining technology and the Internet of Things (IoT) to help optimize the industry is indeed proving to be a strategy that is here to stay. You see it in almost every grocery store; some places even have a whole section dedicated to the number of variations, flavours, and brands. We’re talking of course about coconut water! Whether you love it or hate it, this product has made our way into store shelves globally. Tessa Riley of The Guardian gives the scoop on the coconut water craze and how it affect s the supply chain. This spur in popularity is largely facilitated by North America, now the biggest global market for coconut water. Originally seen as a useless byproduct by coconut farmers, and normally reserved for exotic holidays, the North American market has really taken coconut water to the next level. From the sales report of the top three most popular brands going from almost nothing in 2004 to a whopping $400 million dollar industry in just under a decade (i.e. 2013). 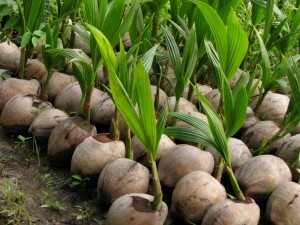 For a bit of history on coconut farming, traditionally coconuts were harvested for their ‘copra,’ or meat, which is then used to extract coconut oil. Coconut water is notorious for being hard to preserve as it starts decomposing as soon as the coconut water is cut. Thus, coconut farmers see it as a useless byproduct. Since the leap in demand though, initiatives have been taken to allow coconut farmers to consider the production of more diverse economic return like coconut water, which has a much higher return on investment per coconut for the farmers. Lack of technology and limited knowledge is the biggest wall for the coconut farmer though, despite the UN Food and Agricultural Organisation promoting best practices on small-scale production of bottled coconut water. This gap between the coconut farmer and the consumer along the supply chain is growing and if the coconut water industry intends to stay sustainable, there needs to be some way to bridge the gap that would allow coconut farmers to leverage knowledge and technology to allow them to produce the great demand for coconut water. PepsiCo has started an initiative to test out the market for a new line of products in order to solve the dilemma of a major issue in the extraction and production of cashew nuts: heaps of agricultural waste. Leon Kaye of Triple Pundit gives us an insight into what Pepsi has planned to alleviate this waste problem. 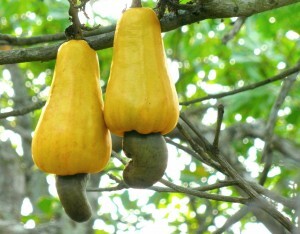 When extracting nuts from cashew plants farmers usually throw away the fruit attached to the nut. Known as the ‘cashew apple,’ this nut is full of Vitamin C as well as other essential nutrients. It also has many other potential uses such as: being another form of meat substitute, used for the production of alcohol, or animal feed. PepsiCo has started work in India to collaborate with farmers to source cashew apples and use it to create the next iteration of specialty juices, along the same lines of coconut water, pomegranate juice, and hazelnut milk. This comes with a new set of logistics challenges though, mainly that of storage, transport, and shelf life. The fruits are fleshy and must be collected from the ground (not the trees), and must be processed within 24 hours (if the nut is removed before collection, then the time frame is shortened to a mere six hours). Temperature is also important; they must be stored in containers that do not get cooler than 5 degrees. Furthermore, the intended market for where Pepsi wants to sell is about 3000 km from the growers’ sourcing stores (i.e. Sao Paulo and Rio de Janeiro). Testing it out in both the South American and Indian market to start, PepsiCo hopes to eventually expand it other markets across the globe.